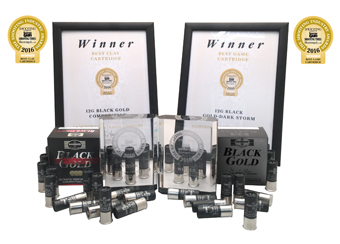 “Quality comes first without any compromises” is the ethos of Gamebore Cartridge Company Ltd, one of the world’s leading manufacturers of British shotgun cartridges, who contacted MecWash when a new component cleaning system was needed. The Kingston-Upon-Hull based company supplies shot gun cartridges to more than 40 countries around the globe and adheres to rigorous in-house quality control standards to ensure customers get the highest quality and performance cartridges that can propel them to the top of their game. Phil Plowman, Director of Gamebore Ltd, said: “We provide a full range of products for game and clay shooters at every stage of their development, from beginners through to world champions, and need to ensure we maintain the highest standard of cleanliness when making our cartridges. “We are known for our innovation, quality, performance, attention to detail and customer satisfaction, and our ability to control these aspects is the measurable strength which the Gamebore brand has been built around since the firm was founded in 1973. “Our existing component cleaning regime was not as robust as it could be and, as the only UK cartridge manufacturer operating to the exacting ISO 9001 standard, we cannot afford to leave any level of detail to chance. 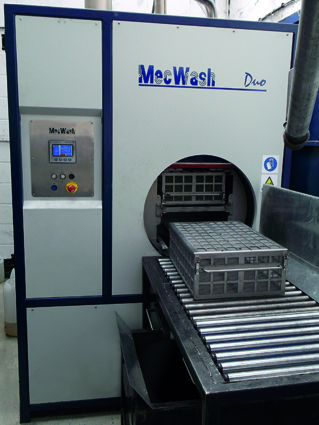 “We contacted Tewkesbury-based MecWash who suggested we install a Duo 400, a highly versatile aqueous cleaning system which works, with its unique basket design, for even the smallest of parts such as the Diamond shot used in manufacturing our cartridges. “The other factor that made us choose a Duo was its relatively small footprint as space is always at a premium in any factory setting and ours is no exception, especially as we are experiencing continual growth at the moment and need to ensure our Gamebore Shotwell Tower, the only working shot tower in the UK, is able to meet the increase in orders. “We have been delighted with the quality of cleaning achieved by the Duo 400 because of the pristine finish it offers. This is vital as any specks of dirt, even the smallest amount, will affect the accuracy and repeatability of the final shot, both of which are vital factors in successful competition shooting. “Gamebore Ltd is proud to be the supplier of choice for many champions, including clay pigeon shooter George Digweed who has clocked up an outstanding 26 World titles, 18 European championships, 11 British & English championships and 16 World Cups, and we hope many more will come to us as they aim for their own success,” he added. John Pattison, managing director at MecWash, said: “Shooting is just one of the many sectors we are able to support through our precision cleaning systems that are suitable for even the smallest of parts such as these shotgun cartridges where a totally clean surface is essential to ensure a consistent quality is achieved when they are eventually fired. “Based on the well-established MecWash design of a rotating drum, within which components are held in baskets, the MecWash Duo features twin wash and rinse tanks which allow it to deliver both a high volume flood/immersion wash cycle and a powerful rinse stage. “Gamebore also needed the components to be totally free from moisture before manufacture and this is where the Duo is again an excellent choice as it has a highly effective drying function. Ease and speed of use are other factors vital for our customers and again the Duo has a range of pre-set programmes with each cycle taking typically no more than 10 minutes, making it ideal to help quickly meet growing production demands,” he added.